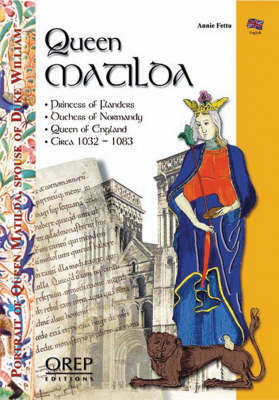 What an exceptional destiny was that of Matilda ! Born in Flanders in her her father, the Count Baldwin V's castle, she was introduced to William of Normandy who she was later to marry around 1050. She was far from imagining, on her wedding day, that she would one day be the Queen of a kingdom as powerful as, if not more than the kingdom of France or the Holy Gemanic Empire. From her union with William, she gave birth to a least ten children, two of whom were to become King. Designated Regent of Normandy during the Norman Conquest, she was later crowned Queen of the new Anglo-Norman Kingdomu, thus becoming one of the most influencial of William's companions. Whilst living a wise and exemplary life, this Queen of legendary discretion, managed to assert herself among her contemporaries, for whom she was an abiding source of praise.